We don’t expose our Typeradio activities here a lot, but feel it’s time to make an exception now. 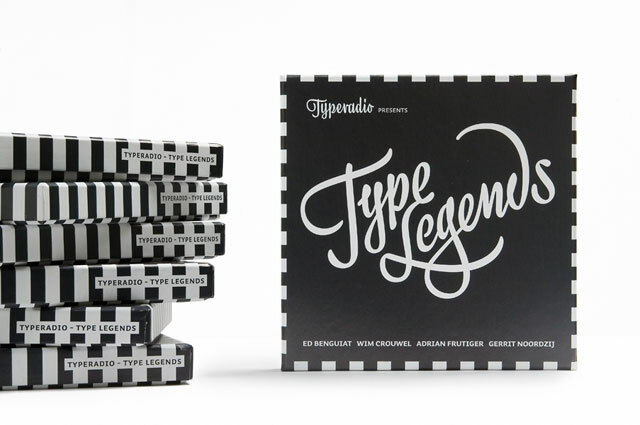 After years in the making, the Type Legends box is going to be published soon. Type Legends? Yes, we thought it would be a good idea to interview four persons who influenced our lives and the (typo-)graphic design field in general: Wim Crouwel, Ed Benguiat, Adrian Frutiger and Gerrit Noordzij. Living legends if you ask us. We extensively talked to them for this series, but that ain’t enough. We would wrong them by simply publishing these interviews online, we felt this was a perfect moment to honour them with a special publication. After we interviewed the four legends, every interview was handed over to a different band. Each band – Supercity, The Walt, Legowelt & Jac Palinckx – composed and recorded two songs for this legend, based on the interview. These songs are now published as vinyl records. The record sleeves are designed by four different graphic designers who all have a connection with each legend. Dutchman Erik van Blokland designed the sleeve for Gerrit Noordzij’s music, Swiss Büro Destruct for Adrian Frutiger, Strange Attractors for Ed Benguiat and the Amsterdam based Experimental Jetset created the cover for Wim Crouwel. Last but not least the American curator and writer Ellen Lupton wrote a fictional essay on these four legends. ‘Four Typographers walked into a Bar’ describes a hilarious meeting between the four gentlemen. This Type Legends box will be presented at 2 September 2011 at the Now we are talking Festival in Den Haag. 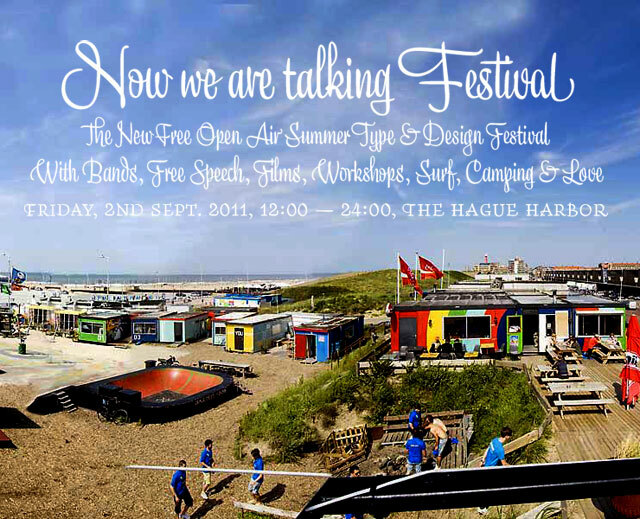 This super relaxed Typeradio event – composed of workshops, talks, music, films, surfing, camping & love – takes place at an extravaganza location at a Dutch beach pavillion. You can be part of this now-or-never day simply by registering. 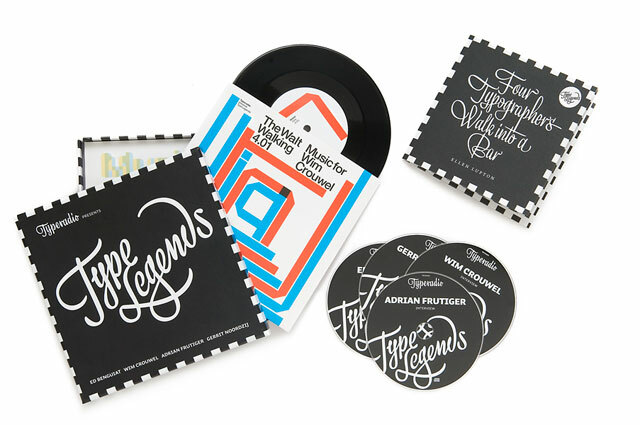 If you want to be absolutely sure that you are the proud owner of the limited edition Type Legends box, you can personally pick it up that day. First come, first serve.